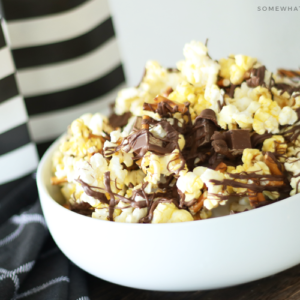 This Gourmet Popcorn Recipe is full of pretzels, Kit Kats, melted chocolate and buttery popcorn! 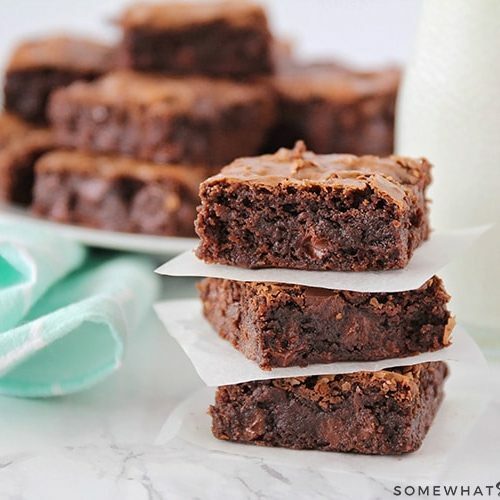 It is the perfect combination of salty and sweet and is definitely the ultimate snack in a bowl. We love a good snack that feeds a crowd! 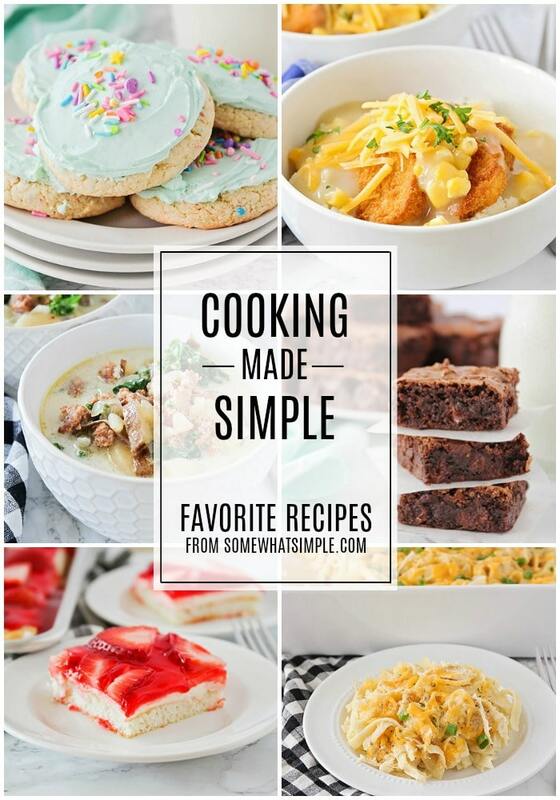 Homemade Chex Mix, Trail Mix and delicious Muddy Buddies are some of our favorites. 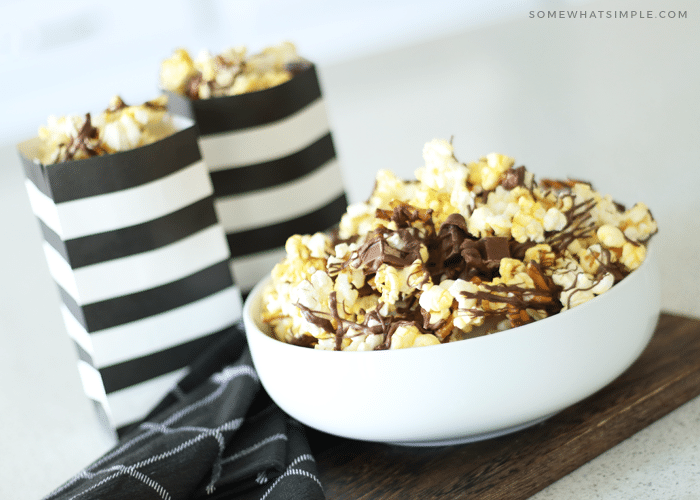 This popcorn with Kit Kats and pretzels is a great little treat for holidays, celebrations, or for a casual movie night at home! I have a thing for candied popcorn and I’m constantly trying new versions. 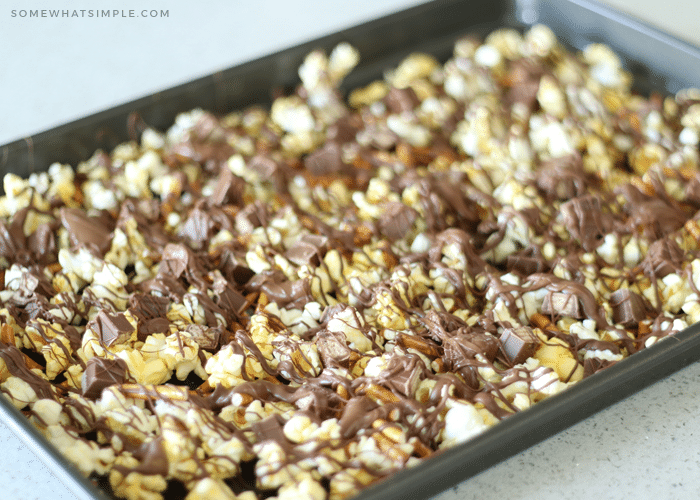 Popcorn with candy bars and various add-ins is a great way to get that salty/sweet flavor combination that so many love! You can switch up the candies you add into your popcorn bowl based on your flavor preferences. Snicker or Twix? Chop ’em up and mix ’em in! Peanut Butter M&Ms? Absolutely! This Kit Kat Popcorn is the perfect sweet and salty snack that will satisfy your sweet tooth cravings! Gourmet popcorn is a delicious treat you can make from home or order online. There are plenty of different things you can use to flavor the popcorn like candies, cheese, caramel and chocolate. There are a lot of companies that sell it but why make yourself a homemade batch and save yourself a lot of money in the process. This homemade gourmet popcorn recipe is really simple to make and you won’t be able to stop eating it. I always start by cooking the popcorn in the microwave according to the directions on the package. However, because every microwave is different, I will stand by the microwave during the last 30 seconds and listen for when the popcorn stops popping. If there is about 3 seconds between “pops”, I’ll stop the microwave and take it out and it comes out perfect every time! While gourmet popcorn is usually gone the night my family makes it, but if you happen to have any left, be sure to store it in an airtight container. If stored properly it should stay fresh for up to a week. 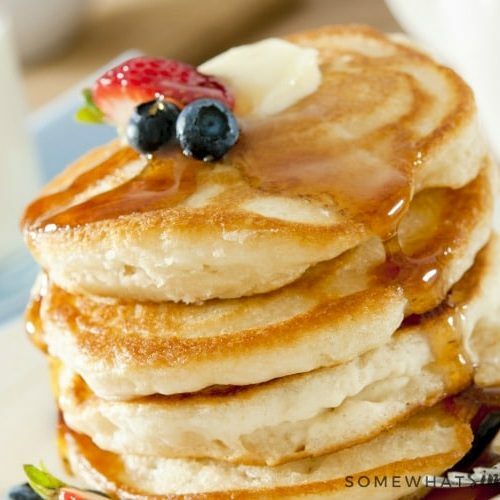 Go ahead, give this amazing recipe a try. 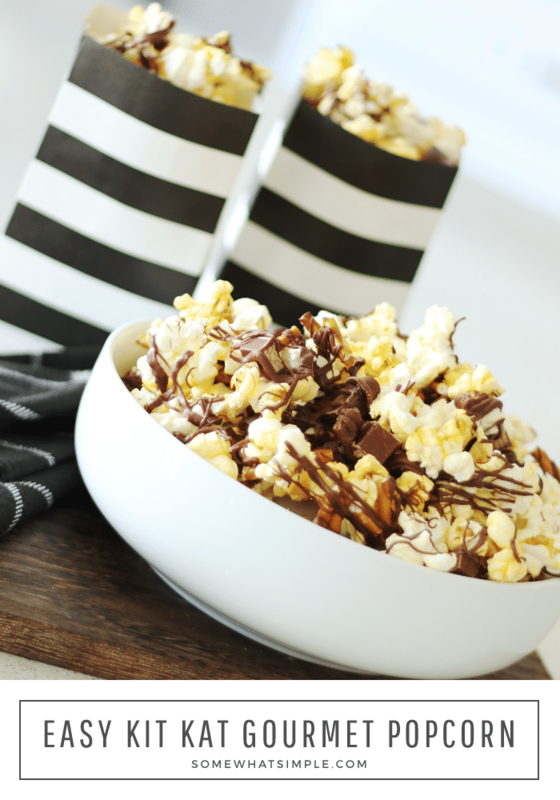 Leave us a comment below and let us know how much you enjoyed this Kit Kat popcorn or tag us on social media when you serve this during an Adult Game Night or any other occasion because we love seeing what you’ve been up to in the kitchen! Lay out the popped popcorn on a parchment or wax paper-lined cookie sheet. 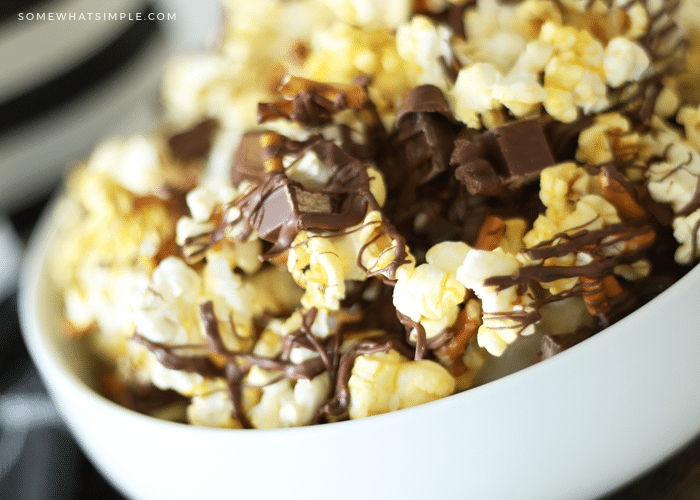 Pour the melted chocolate on top of popcorn. 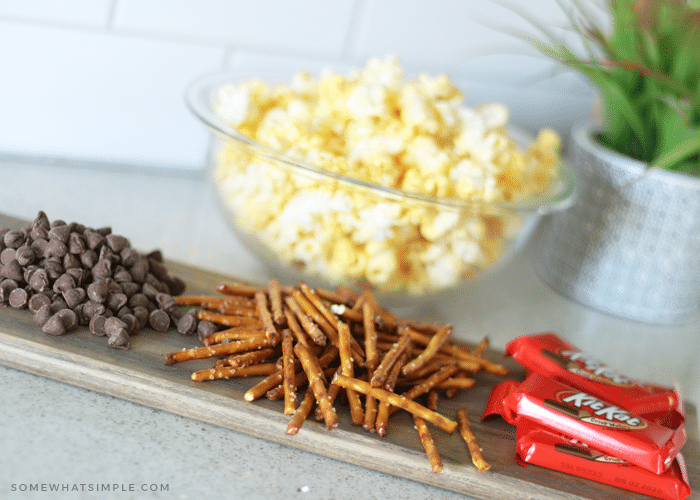 Sprinkle Kit Kat pieces and chopped pretzels over the popcorn. 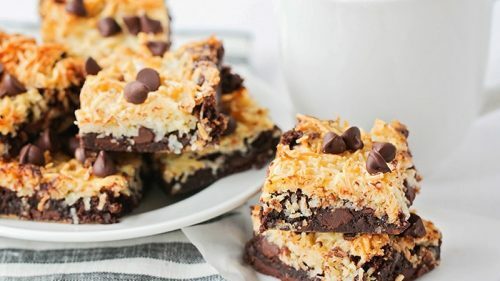 You can eat immediately, or wait until the melted chocolate has hardened completely. Grab your favorite movie and ENJOY!! 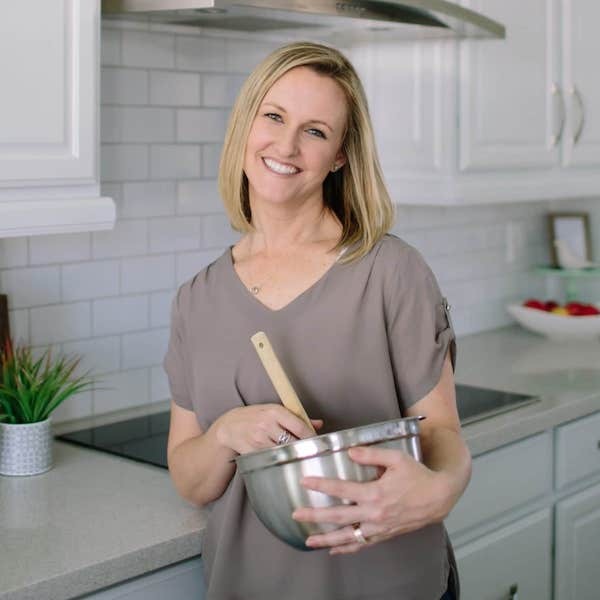 ABOUT THE AUTHOR: Kari is the founder of U Create, a blog she started in 2008. She loves to inspire others to create by sharing projects from amazing crafters all around the world. She loves to travel with her family and is always reading a few books at a time. 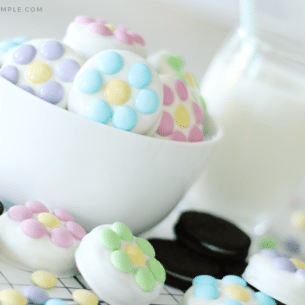 For more recipes, crafts, and more?, visit Kari at U Create! Two of my favorite things! This really is a great combination! I am addicted to this! Best popcorn ever! Thanks Rachael, you made my day! What a fun idea for movie night! Love it! Such a fantastic snack!! I LOVE this! 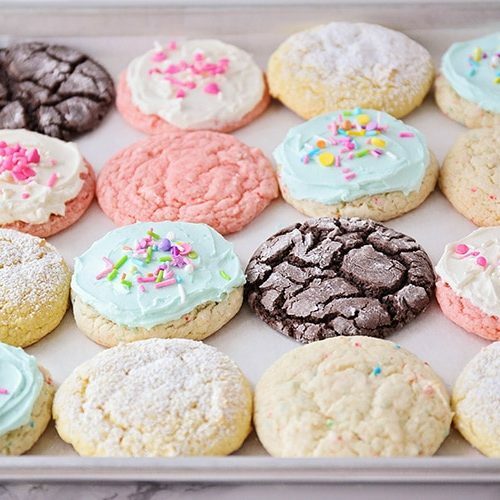 What a fun treat! perfect for family movie night!